Eugene “Gene” Brooks, 91, formerly of Calumet, MN died Monday, March 25, 2019 at Oak Crossing in Detroit Lakes after his fight with Parkinsons and Cancer. Memorial Services will be held Monday, May 27 at 1PM in Calumet Community Presbyterian Church. 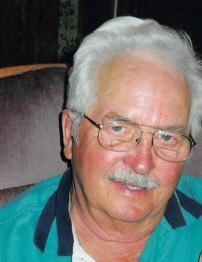 While living in Calumet, Eugene was an active member of Calumet Community Church, the Calumet Volunteer Fire Department, Greenway Snowmobile Club, Greenway School Board and was a lifetime member of the Pengilly VFW and Color Guard. One of the most impressive skills was his ability to fix anything. In his spare time he enjoyed playing cards, especially Cribbage, he also enjoyed fishing, camping, travelling and watching sports. For over 20 years, Eugene and Verna enjoyed their winters in Mission, TX. Eugene is survived by his wife Verna, his five children: Cheryl (Mike) Mandy, Deborah (Ron) L’Amie, Roberta Cieklinksi, Donald (Diane) and James (Cathy, one step-daughter: Lynette (Bob) Cogger, 12 grandchildren, 18 great-grandchildren, two great-great grandchildren, one sister: Emily Lovering and numerous nieces and nephews.